The more fit you are in your mid-to-late 40s, the less likely you are to have a stroke after age 65, according to a study published online June 9, 2016, by the journal Stroke. The study relied on data from treadmill fitness tests collected from 1999 to 2009 on nearly 20,000 people (mostly men) who were ages 45 to 50 at the time. Researchers classified them into three groups (low, medium, and high) based on their cardiorespiratory fitness. Cardiorespiratory fitness refers to how well your heart and lungs supply oxygen to your muscles during exercise and how well your muscles use it. By reviewing recent Medicare claims data, the researchers found that people with the highest levels of fitness were 37% less likely to have a stroke after age 65 compared with those who were least fit. The findings persisted even after researchers accounted for stroke risk factors, such as high blood pressure and type 2 diabetes. 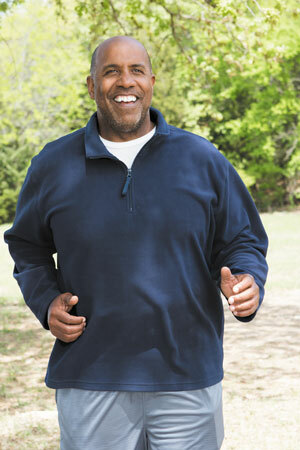 The findings reinforce the important role of exercise for preventing stroke. Currently the fifth leading cause of death in the United States, stroke is also a major cause of long-term disability.